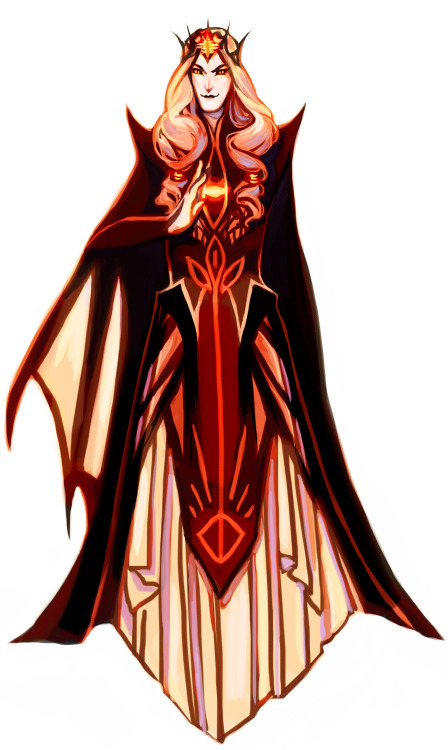 Büge wrote: While they're at it, they should make Sauron look like this in the next game. The Battle of Dagorlad was merely a setback! Friday wrote: I've always sort of been interested in what exactly the "pretty" Melkor and Sauron looked like, before they became unable to shapeshift and were just permanently locked in as what they really were on the inside. This guy's take it pretty good. It's a Russian woman, actually. She used to do a hilarious webcomic that first depicted the "Angbang" ship (which is now a thing because internets and Tolkien fans). Her current blog is Melkor Was Here.tumblr, but I can't find the comics (she dumps tons of stuff there, so even cutting it down to just her art still leaves tons to wade through). I think I saved the old strips, if it comes to that.